A brand-new paperback edition of the Newbery Honor book, with an introduction by Joseph Bruchac. Although he faces responsibility bravely, thirteen-year-old Matt is more than a little apprehensive when his father leaves him alone to guard their new cabin in the wilderness. When a renegade white stranger steals his gun, Matt knows he has no way to shoot game or to protect himself. 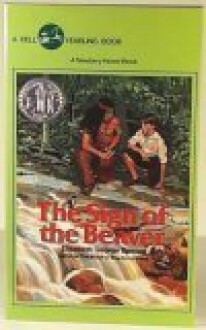 Only after meeting the proud, resourceful Indian boy Attean does Matt begin to understand the way of the Beaver clan and their growing problem in adapting to the white man and the changing frontier. A touching book I read in grade school. Great book for kids; filled with educational historical accounts, enough action to keep an eight year old interested, and a heartwarming story of friendship between an indian boy and a white settler.